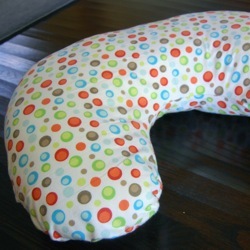 Here is a free nursing pillow pattern for you to print and use! 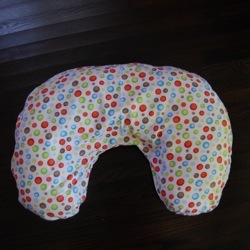 I've tried out a few breastfeeding pillows in my years of nursing and loved the Boppy. However, I also loved the thicker height of a few other brands so I designed my own and this is it! Mine will stuff thicker, bringing baby right up to the perfect height - no need to support with an arm underneath or bolster with another pillow. In fact, my little guy is asleep on the pillow I made in these very photos as I type on my laptop. No kidding, this is how I get work done. 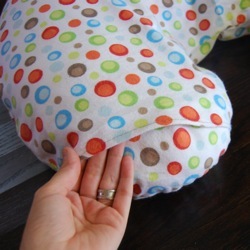 If you are looking to make a Boppy slipcover, it will fit with this pattern - see the photos of our breastfeeding pillow slipcover on a Boppy below for examples. 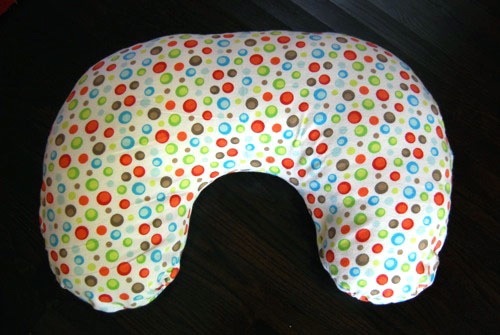 Here is nursing pillow pattern in PDF format for both the pillow and slipcover. 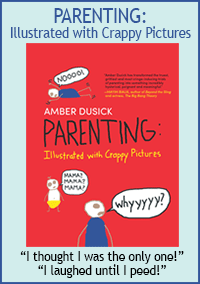 It will print on 6 regular letter sized pages for you to tape together. Make sure you are printing without margins. The instructions are not included in the PDF, they are written out on this page below. First, print out the PDF and tape it all together as shown. You'll notice that there is only one pattern for both the actual pillow and for the slipcover. 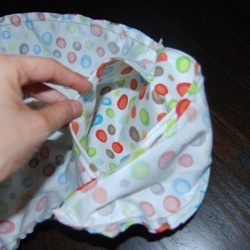 For the pillow, simply cut two identical sides, sew wrong sides together and leave a small opening to stuff, turn right side out and then stuff and sew opening. 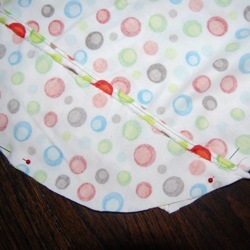 The tutorial below is for the slipcover as it is ever so slightly more complicated. Not much though! Your slipcover opening is on one side and is simply overlapping fabric held together by velcro. 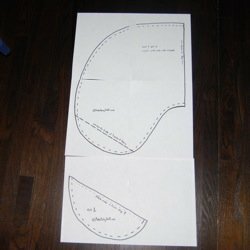 No zippers to sew, yay! 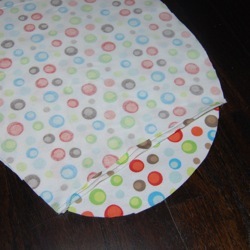 By putting the opening on the end you can use both sides of your breastfeeding pillow. However, you may do your overlap where you like! By doing it right in the middle, for example, would make changing the cover even faster. 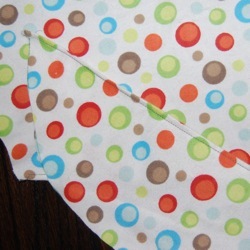 Turn under and hem the edges of the two pieces that will overlap to create the opening. Next, place right sides together. Place smallest piece on top and pin all the way around. After sewing (I always sew twice to reinforce it) you can turn right side out. All done! Nice and plump. Notice how it fits just fine on my Boppy, but is ever so slightly baggy? Totally functional this way, but it is meant for my own nursing pillow pattern. 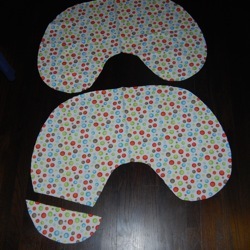 Just wanted to show you the difference in case you have a Boppy you intend to cover. Enjoy the nursing pillow pattern & slipcover pattern & happy sewing!! This post links up with Its So Very Creative and also C.R.A.F.T. where you can find all sorts of other cool projects from around the web! Go back to the Nursing & Feeding section. 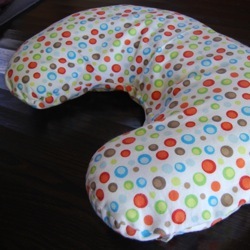 Back to the top of the Nursing Pillow Pattern page.